"I had a blast capturing some engagement photos with Maria and Cody! I absolutely loved that they wanted to do something different. 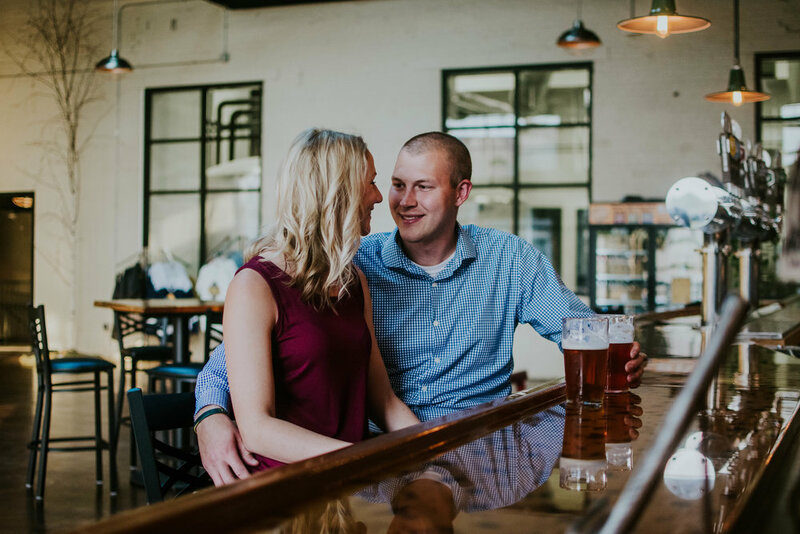 Cody and Maria had their first date at Titletown Brewing Company in downtown Green Bay and so they felt it would be perfect to get some engagement photos there, and I definitely agree! These couldn't have turned out any more perfect. We also explored the streets around Titletown in downtown Green Bay for some urban feel photos too. What a beautiful and awesome couple!"